I have a new article for SI.com on a federal lawsuit just filed by three former minor league players against baseball over allegedly unpaid minimum wage and overtime. To be sure, this will be a lawsuit to follow. 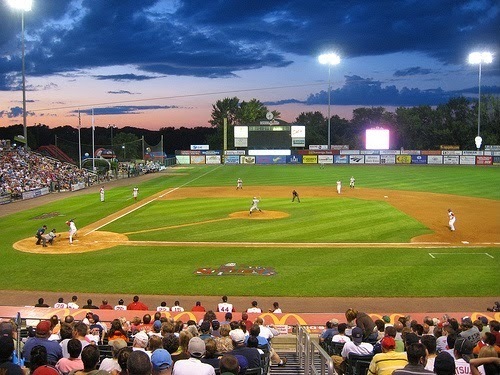 The lawsuit portrays minor league players as members of the working poor, and that's backed up by data. Most earn between $3,000 and $7,500 for a five-month season. As a point of comparison, fast food workers typically earn between $15,000 and $18,000 a year, or about two or three times what minor league players make. Some minor leaguers, particularly those with families, hold other jobs during the offseason and occasionally during the season. While the minimum salary in Major League Baseball is $500,000, many minor league players earn less than the federal poverty level, which is $11,490 for a single person and $23,550 for a family of four.